NEW YORK (WABC) -- Every runner in the 2017 TCS New York City Marathon has a back story. Some run for a cause, some run for personal reasons, and some rally together to pull for those who can't. This is the case for the runners supporting Jar of Hope, and Team Jamesy. They run to raise funds in the continuing research to help eliminate Duchene Muscular Dystrophy. The disease is form of Muscular Dystrophy, that is a progressive muscle degeneration. What inspires these dedicated runners? Jamesy is a young boy who was diagnosed with this horrible disease. This is just one of many families who struggle with this disease, and Jar of Hope has made it one of their goals to help them. One of the participant's in this years marathon is Alex Bates. Alex is one of 18 runners for Team Jamesy who have raised $114,683.00 so far. When asked what this charity means to her, Alex said; "It's an absolute honor to run for this wonderful charity, Jar of Hope - Team Jamesy." Bates added; "Together our 18 team members raised over $114,000 and counting. This money will go to find a cure for Duchenne Muscular Dystrophy." Sunday will be Bates third marathon with her team. Alex has been a trainer for The Max Challenge for over three years. In this time she has worked with Jar of Hope to help inspire and bring awareness to causes like Team Jamesy. 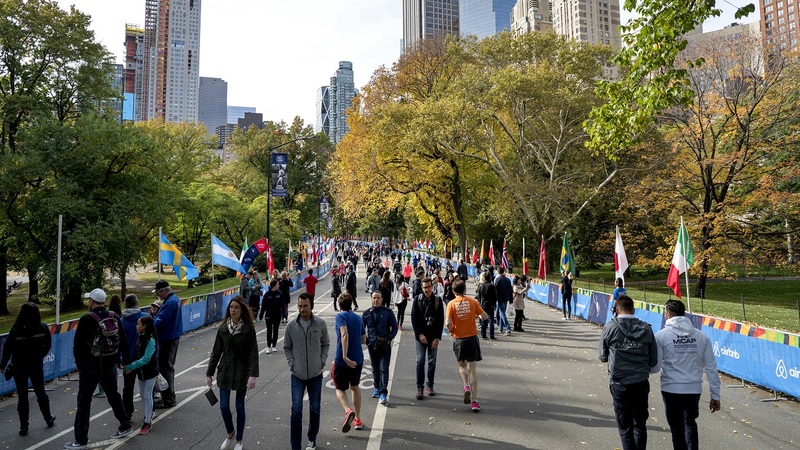 The 2017 TCS New York City Marathon takes place on Sunday, and can be seen on WABC starting at 7am.